Premium Marine has developed a custom piece of equipment that digitally inspects and repairs shafts. This allows us to repair shafts better than industry standards. 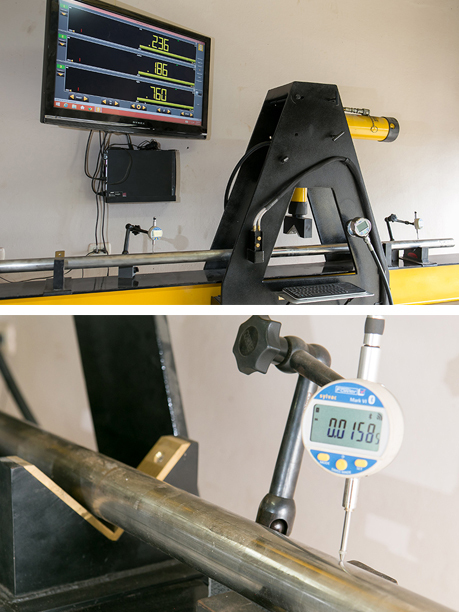 After a shaft is analyzed our customers will receive a printed report showing where the shaft is bent (or not bent) and the initial and final measurements. At Premium Marine, we believe the customer should feel confident in knowing that their shafts or propellers were actually damaged to the extent stated. We can accommodate shafts from 1 to 25 feet in length, and .5 to 4.5 inches in diameter, by using 20 to 50 ton hydraulic rams for the repairs.